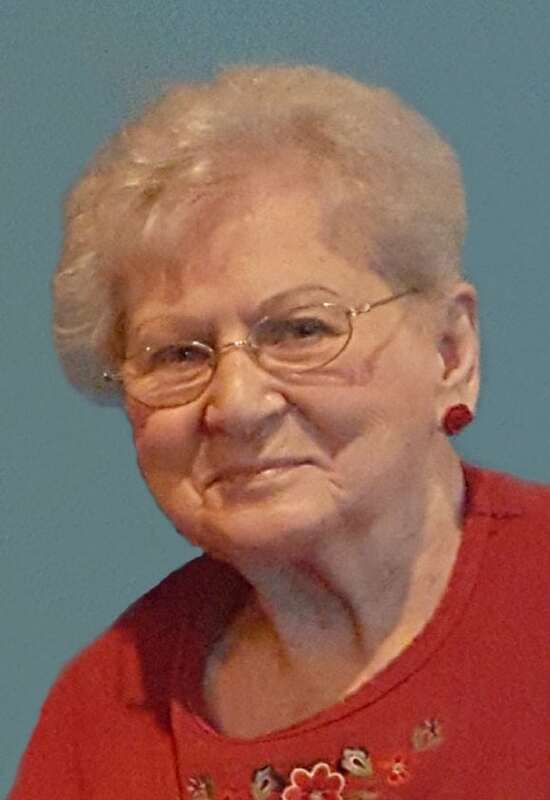 Ruth Janette George, 84, of Marshalltown, passed away on Saturday, August 25, 2018, at her home. Funeral services for Ruth will be held on Thursday, August 30, 2018, at 10:30 a.m. at Hope United Methodist Church in Marshalltown. Visitation will be on Wednesday, August 29 from 6:00 p.m. until 8:00 p.m. at the Mitchell Family Funeral Home in Marshalltown. Memorials may be directed to the family. For more information or to send a condolence, please visit: www.mitchellfh.com or call 641-844-1234. Mitchell Family Funeral Home is caring for Ruth and her family. Ruth Wallace was born on April 18, 1934, in Marshalltown to Edgar and Ellen Johnson Wallace. She graduated from Marshalltown High School in 1952. On April 1, 1954, Ruth was united in marriage to Edward R. George in Mercer, Missouri. Ruth retired from Miller Middle School as a cafeteria worker. She enjoyed word find books, watching NASCAR and was a member of Hope United Methodist Church. Ruth is survived by her children: Renee Abrahams, of Burnsville, Minnesota, Wayne (Luann) George, of Marshalltown, Jalyn George, of Marshalltown, and Tammi George, of Marshalltown. Grandchildren: Erin (Kevin), E.J. (Linda), Eddie and Danny and great grandchildren: Aaron, Andrew and Audrey. She is also survived by her siblings: Gertrude, Thelma, Marge (Leonard), Helen and Dale (Norma). Ruth is preceded in death by her husband Edward (who passed away in 2006); parents Edgar and Ellen; brothers Ralph and Elmer and granddaughter Tiffany.